DuraDrive 16 ft. 4-Gauge 400 Amps Extra Heavy-Duty Booster Cable has a vinyl coated clamp for protection from rust and corrosion. Color coded red and black for positive and negative terminals. Heavy duty cable construction of copper-clad aluminium for better contact and transfer power between cars. 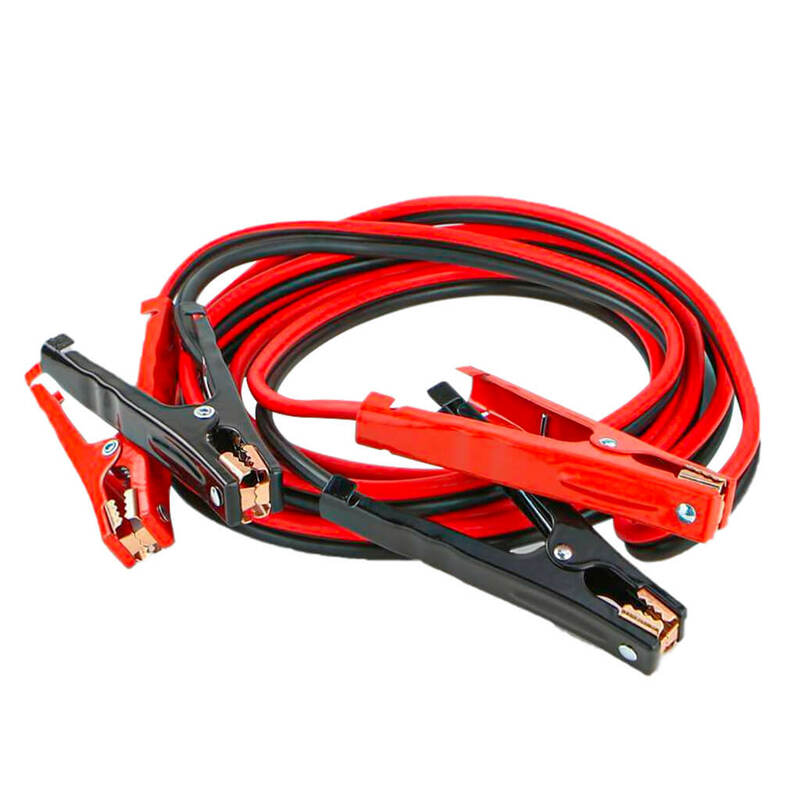 DuraDrive 16 ft. 4-Gauge 400 Amps Extra Heavy-Duty Booster Cable has a vinyl coated clamp for protection from rust and corrosion. Color coded red and black for positive and negative terminals. Heavy duty cable construction of copper-clad aluminium for better contact and transfer power between cars. The cable is also engineered for applications in both warm and cold climate.